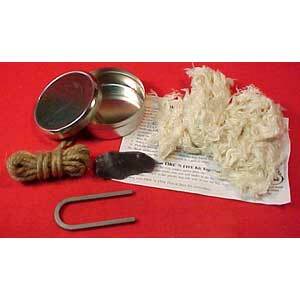 A compact flint & steel fire kit containing an English flint schard, high carbon steel, jute fiber, cotton fiber for making char cloth, and complete instructions. Comes in an airtight round metal box. Striker measures 4" long.